We really like the level of experimentation on this album. RSL predicts very good things if Fishhawk keeps this up! And why not? This is a band that is trying to find their own patented sound and is succeeding at making that decision very difficult for them. We wish them all the luck in the world! We will be watching and listening. I just heard this album recently also. It's a lot more pop-sensical than most indie acts out there today, in a good way. These guys are really great at writing songs as arrangements. These boys are on to something. Way to keep the look out Ryan. I've actually seen these guys in Atlanta before and they really seem to have the art of performance down as well. It seems like for the first time in a long time someone used a clean canvas to start painting a masterpiece on. 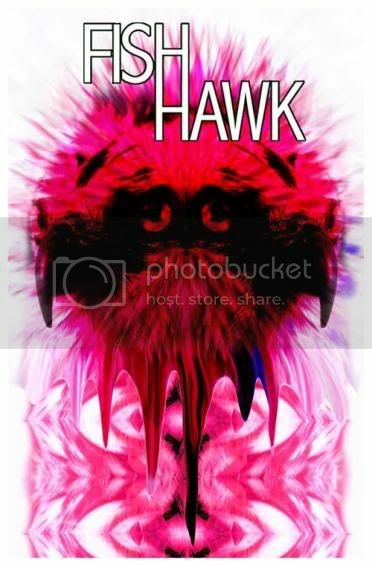 I saw FishHawk in concert a few times...GREAT live show! Does anyone know when their album is coming out? Dude..I have seen these guys several times in ATL too! Apparently they are playing in Orlando sometime in Decemeber. I heard their new album comes out early next year and might even go retail since their last album sold a lot but wasnt even in stores. I like how they incorporate an Outkast sound with...Gnarls Barkley. I hope they get HUGE!! !